A partnership of 129 between Tony Spence (56) and Olly Grantham (76) set Beverley Town Cricket Club on the way to a 114 runs victory over strugglers Sewerby at the Norwood Recreation Ground. 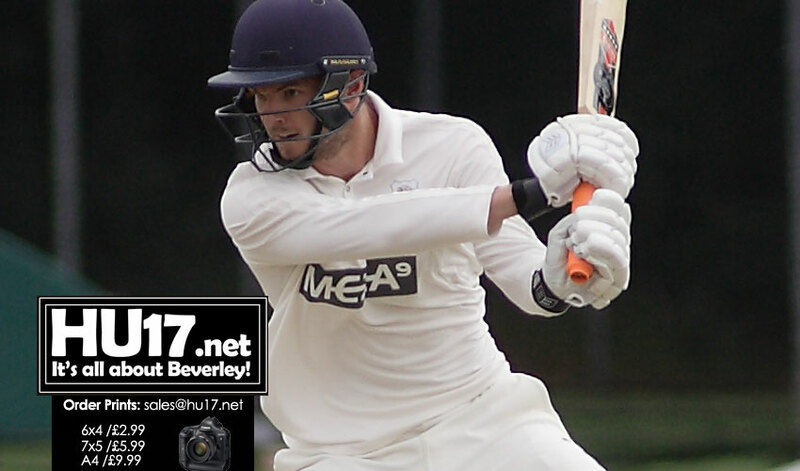 Beverley scored a total of 272-4 also included 33 from Rob Fish whilst Tom Norton (49no) just missed out on a half-century. The visitors managed only 158 in reply as Joey Franklin claimed 4-26, Mike Artley’s 39 the only bright spot on another tough day, a fourth straight defeat plunging them into the relegation places for the first time.